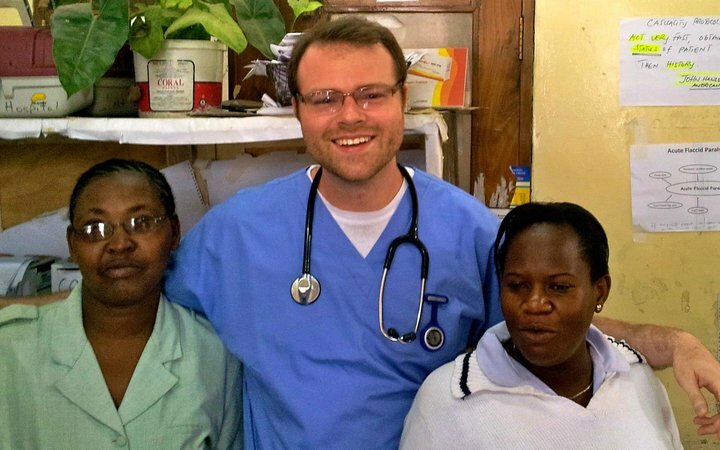 John—a former student nurse—undertook an overseas clinical placement with Work the World in Tanzania. 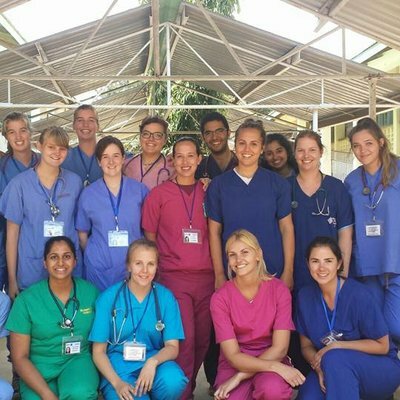 We spoke to him about how his placement contributed to his professional and personal development, leading to him work as a fully qualified nurse in a fascinating small country in Africa. It was my time with Work the World that got me this job, it totally prepared me for it! Many years ago, I spent a summer with Work the World as a student nurse in Tanzania. I honed my skills in a novel clinical environment, experienced the challenges associated with delivering healthcare in a setting with soaring HIV and limited resources, practiced Swahili with patients, and faced life-altering challenges and successes. I now working with a major global health charity in Lesotho—a tiny enclaved kingdom in southern Africa, with a population of only two million. Lesotho is plagued by some of the highest rates of HIV, TB, and maternal mortality in the world. I spend my days devising training plans for nurses and health workers out in the villages. I also assist with program evaluations and quality control. I practice Sesotho (the local language) with my native colleagues, and draw—on a daily basis—from the experiences I had in Tanzania with Work the World. I wouldn’t be where I am today without having travelled to Tanzania with this organisation. It was my time with Work the World that got me this job, it totally prepared me for it. A Work the World placement stands out on your C.V. as a badge of durability, resourcefulness, and cross-cultural aptitude. It says you’ve seen and experienced things unknowable in places like the UK, Australia, the US and the Netherlands. It says you’ve solved problems and debated ethics that are simply taken for granted at home. A Work the World placement says that you've earned something few others have. Work the World prepare you in innumerable ways to be a better clinician and indeed a better citizen of our planet; employers know this. During the interview for my current position, I felt as if I started every sentence with “When I was a student nurse in Tanzania…”. For every question I had a story or a life lesson to match, all of which were from my time with Work the World. Here in Lesotho, while analysing problems and developing solutions with colleagues, I’m constantly referring back to my experiences with Work the World. Be it rigging up a paediatric oxygen delivery system with tape and a Swiss Army knife, treating severe dehydration deep in the Serengeti, or simply helping to deliver babies in a busy labour ward. Memories of my placement with Work the World in Tanzania remain daily touchstones. It is the one experience that launched my understanding of global health, and the one experience that launched my career in global health. I know that without it I would have neither the opportunities nor the skills I proudly enjoy today. Whenever someone asks me if they should undertake their elective with Work the World, I tell them, "Go!". It’s the best investment you'll ever make in developing your skills, your career, and yourself.